1 hours worth of boredom. Not bad i dont think. But not great either. A good start indeed. But I'd recommend getting the a/c's facility planning manual, and finding the precise section and measurements there. 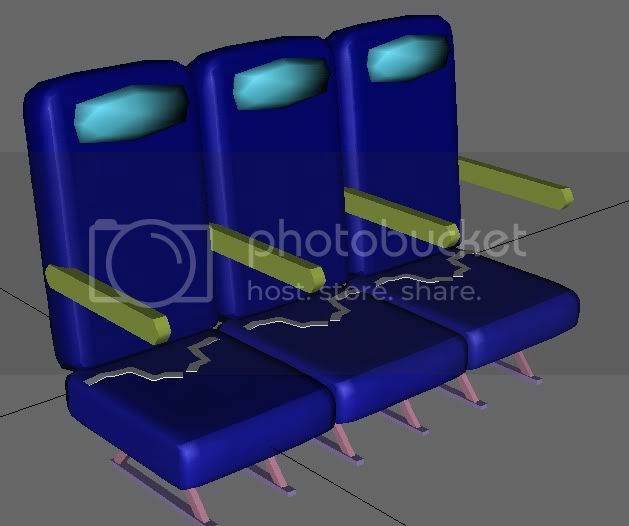 Some pointers for the future: you need to improve the smoothing on the seats and make sure the window cuts are clean. Nice, but which aircraft is that? Inbreker wrote: Nice, but which aircraft is that? well thats pretty obvious.. an Air New Zealand A320 of course! 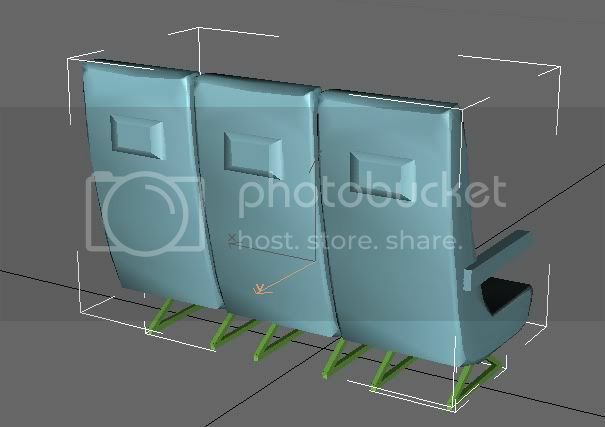 try making one panel of the cabin at a time the crtl c and crtl v ing- like make one detailed cabing panel + ovrhead locker, and add the chair and the isle. 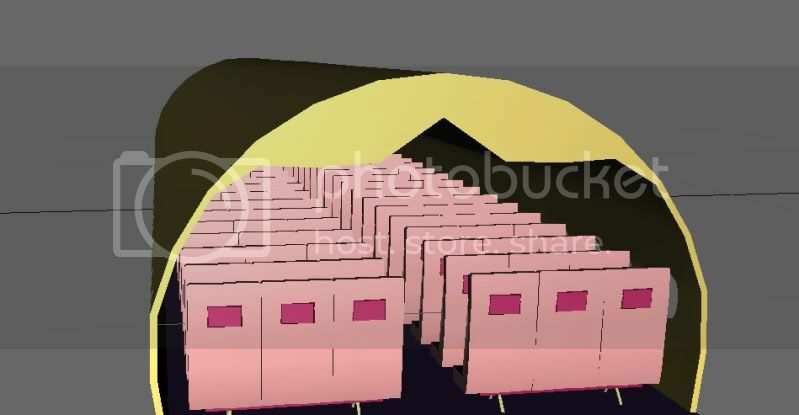 then copy and add one, by one, and then you will have a complete cabin! Decided i am going to make a go of this. It's getting better and better... Keep it up. Something about the seats. Don't try to model these as a single part. 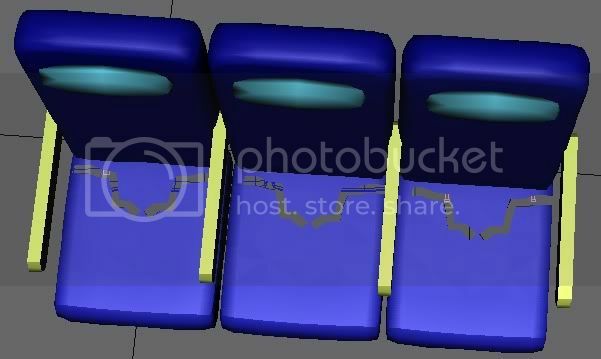 Divide each seat in parts (back, bottom, base, armrests, traytable e.t.c. ), then join them together and clone. Alexis wrote: Something about the seats. 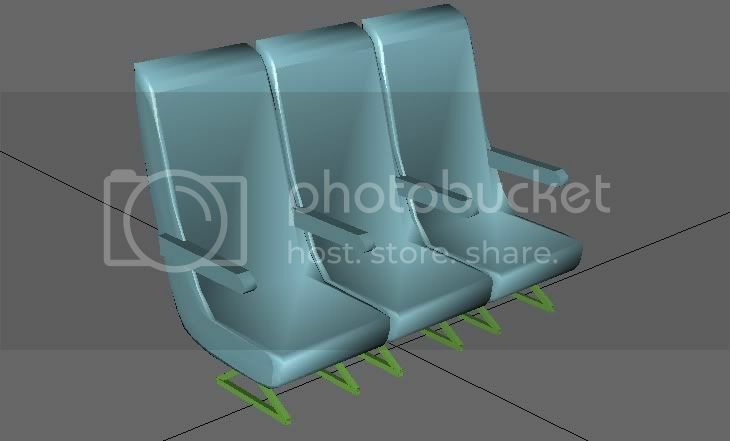 Don't try to model these as a single part. 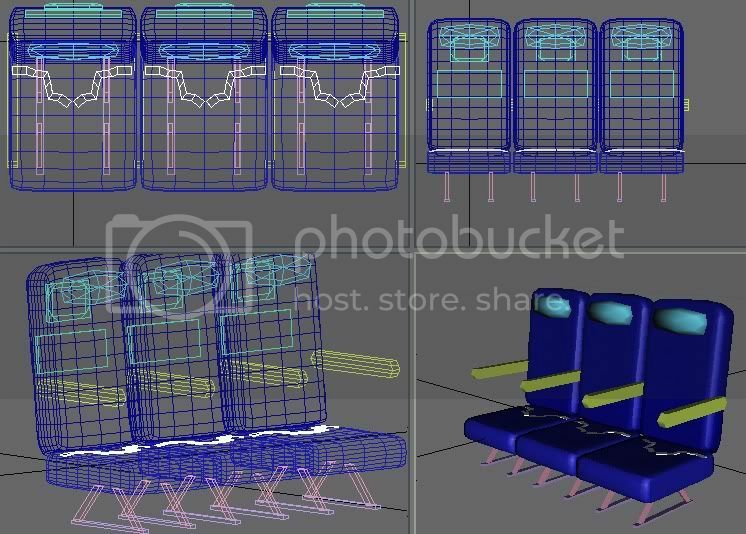 Divide each seat in parts (back, bottom, base, armrests, traytable e.t.c. ), then join them together and clone. Took your advice and they look heaps better. 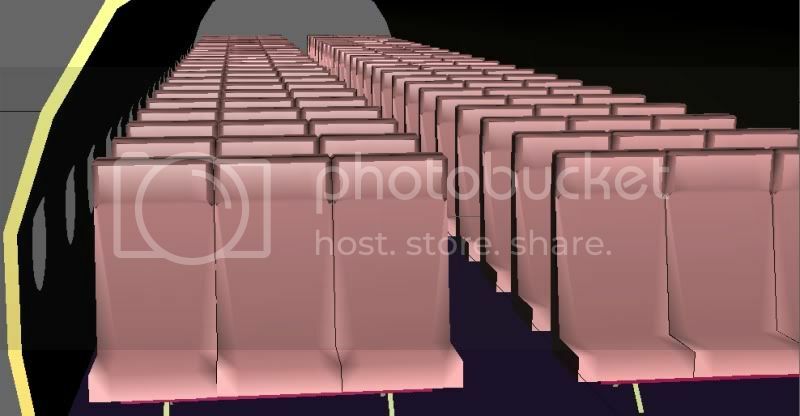 If one of the wiser members here could assist me in terms of knowledge of texturing these sorts of things it would help tremendously. Rather interesting work so far ANZ_A320! Here's another resource for you. 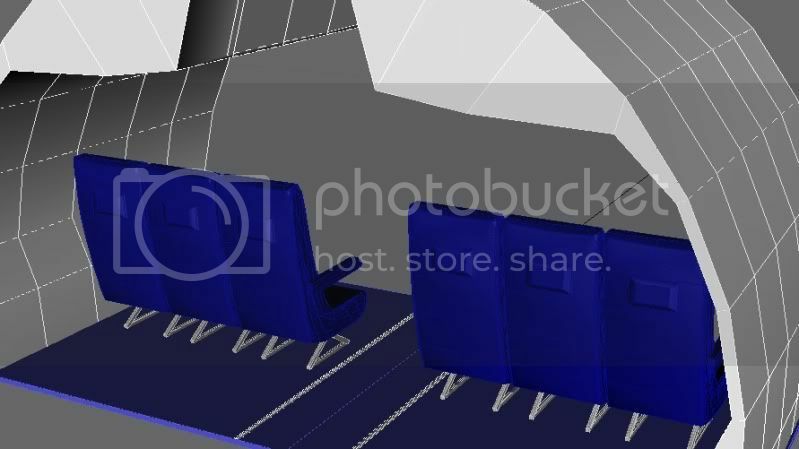 Jetblue A320 interior / exterior virtual tour page with walkthrough views (interactive page pops-up). Not related to Airbus but just for fun. 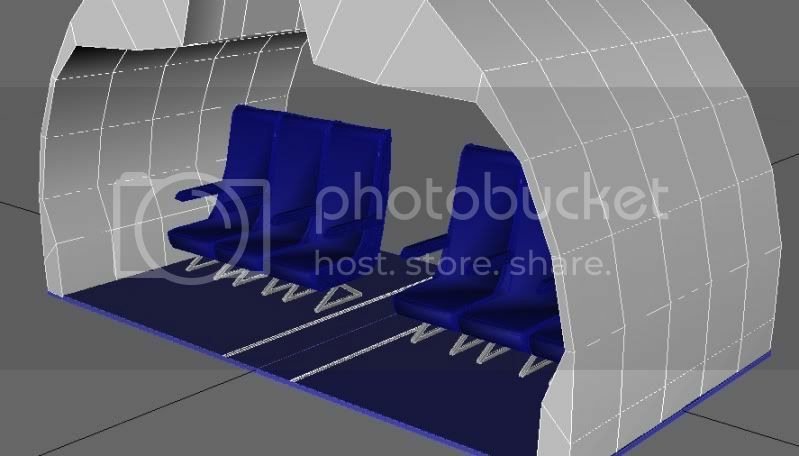 Here's the Jetblue Embraer 190 interior / exterior virtual tour (interactive page pops-up). looks much better indeed, but you can lose a LOT of polygons on,, basicly everything. 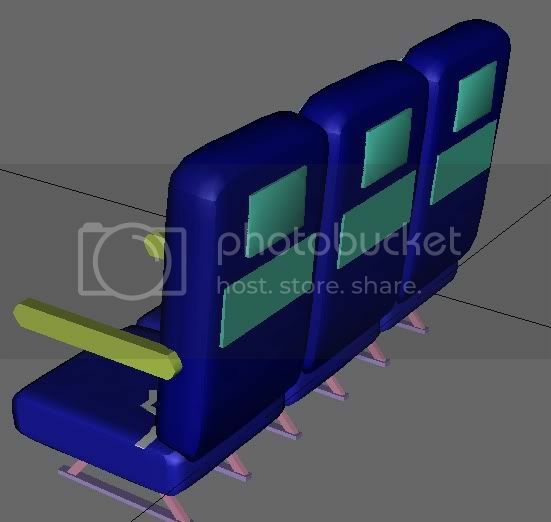 like the seat, you'll only need polygons for the edge to be smooth, since your seat is flat, normall they're not, but it saved polygons. same with the armrest. 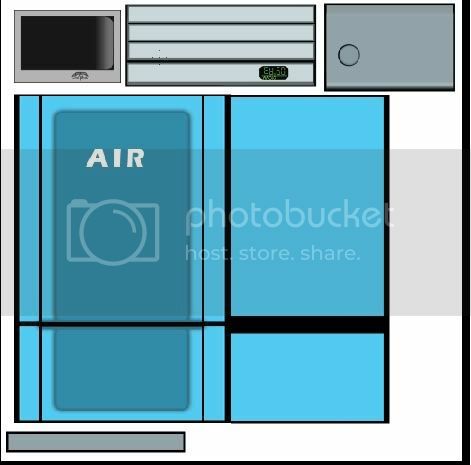 and the tv screen on the back is not flat.. or is a cushion? Very nice model! I wish i'm good as you are.